On the 1st and 2nd September 2014, the Committee on the Rights of the Child considered the combined third to fifth periodic reports of Venezuela on the situation of the implementation of the Convention on the Rights of the Child in the country. The Delegation of Venezuela, led by the Minister of Popular Power for Women and Gender Equality (Ministerio del Poder Popular para la Salud, MPPS), Ms. Andreina Tarazón, was constituted of 31 members, including the General Director of the Health Committee of the Ministry of Popular Power for Education, Ms. Asia Yadira Acosta. IBFAN presented an alternative report to inform the CRC Committee on the situation of infant and young child feeding in Venezuela. The report highlighted a significant deficit in data collection on infant and young child feeding (IYCF). The available data on IYCF are from 2008 and show that more than 70% of children are not exclusively breastfed until 6 months of age while almost 13% are predominantly breastfed until 6 months of age, although it is considered as an inadequate practice. Some 75% of the children are introduced to complementary food before the recommended age of 6 months. In addition, when bottle feeding, the dilution of the powder milk or formula has shown to be inadequate in more than 70% of cases. 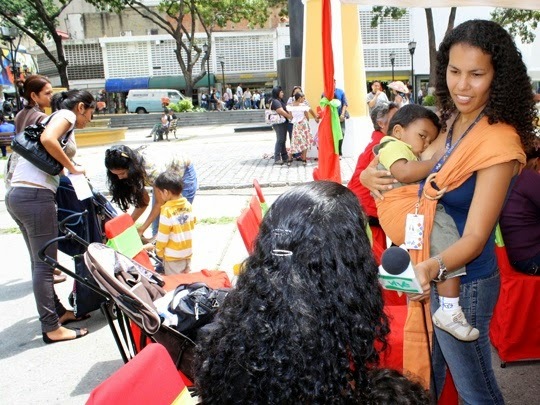 Nonetheless, the Government of Venezuela has shown its will to encourage breastfeeding. Firstly, one of the goals set in the “Plan de la Patria Socialista de la Nación 2013-2019” is to increase exclusive breastfeeding by 70%. Secondly, breastfeeding is promoted as a priority by the MPPS and is referred to in the Organic Law on Children and Adolescents Protection (Ley Orgánica para la Protección de Niños y Adolescentes, LOPNA). Thirdly, the International Code of Marketing of Breastmilk Substitutes, as well as the Baby-Friendly Hospital Initiative (BFHI), were formally implemented into national legislation through two ministerial decisions in 2004. However, in 2010, only 17 out of 204 hospitals were certified as ‘baby-friendly’ and violations of the Code can still be detected, such as the use of health claims, promotion of ‘baby competitions’, corporate sponsoring of medical events. Regarding training of health professionals, courses on breastfeeding are organized jointly by the Childcare and Paediatricians Venezuelan Society and the UNICEF. Besides, a course on breastfeeding counselling is organized at national level; since its launch, more than 3,000 accredited breastfeeding counsellors have been trained. Finally, the GALACM-UCV breastfeeding support group also gives training courses on breastfeeding. Nevertheless, in 2009, it is of concern that about 35% of surveyed mothers did not receive information on breastfeeding during pregnancy. In Venezuela, mothers are entitled to a maternity leave that has been increased from 12 to 20 weeks in 2012. Yet, IBFAN report calls for the extension of the maternity leave up to 40 weeks of corrected age for mothers with premature babies. Regarding IYCF and VIH/AIDS, a programme on the prevention of vertical transmission is carried out in order to ensure the supply of infant formula during the first year of life for children of HIV-positive mothers. Finally, the national legislation states that breastfeeding should be protected in case of emergencies. The Delegation of Venezuela affirmed that a humanist approach is taken in the field of reproductive health and that the government guarantee the provisions of medical services in this field through the programme Barrio Adentro. A specific programme entitled Misión niño Jesús aimed at pregnant women has been implemented. In addition, the Delegation stated that the government provides support to improve the nutrition of mothers and children, especially by timely supplementation. Finally, it highlighted that 8 human milk banks have been implemented in the country. In its Concluding Observations, the Committee made several indirect recommendations. With regard to general measures of implementation, it urged Venezuela “to finalize the design of the National Plan of Action for Children and Adolescents (2015-2019)” (§11) as well as “to expeditiously complete and implement its data collection system” (§20). As far as health issues are concerned, it recommended that Venezuela “collect disaggregated data on children’s health related issues, in particular on child mortality, including under five mortality, maternal mortality, vaccination coverage, nutrition and breastfeeding; allocate adequate human, technical and financial resources to the national public health system; building on data related to the causes, design a strategy to reduce child and maternal mortality, which includes the implementation of the two existing protocols on maternal and neonatal mortality and continue its efforts to reduce malnutrition and increase vaccination coverage” (§53 (a)-(d)). Furthermore, The Committee also addressed the issue of HIV/AIDS mother-to child transmission by requesting the government to “collect disaggregated data on HIV/AIDS related issues, in particular on [...] number of cases of mother-to-child transmissions, [...] and number of children and pregnant women under treatment” and “ensure that all HIV/AIDS positive pregnant women receive adequate treatment” (§61(a),(c)). The Committee also issued direct recommendations related to infant and young child feeding (§53(e)). It recommended that Venezuela “increase its efforts to promote breastfeeding by developing a comprehensive programme of action to promote exclusive breastfeeding, including training for staff in hospital maternity wards, closely monitor the implementation of the International Code of Marketing of Breast-milk Substitutes and develop awareness raising campaigns”.